At Good Chemistry Nurseries, it’s our mission to improve the lives of others through the production of high-quality cannabis. The cannabis we offer is a result of almost two decades of continual learning, refinement, dedication, and most importantly, passion. 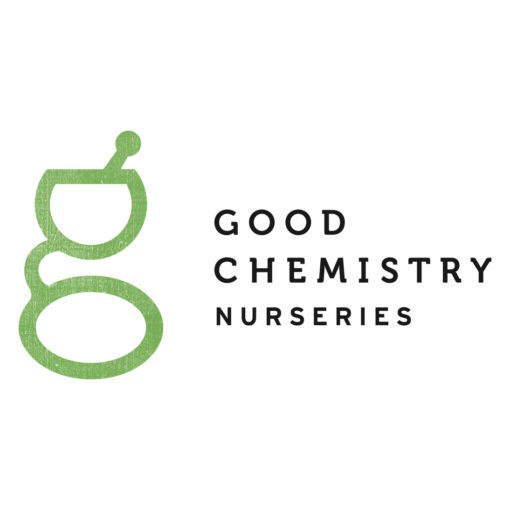 Whether it be our exquisite attention to cultivation, supporting organizations and participating in philanthropic initiatives, or keeping our planet in mind when it comes to the environmental impact of commercial cannabis production, Good Chemistry Nurseries aims to improve the lives of others – day in and day out. Philanthropy: Good Chemistry Nurseries is on a mission to improve the lives of others by supporting and participating in local philanthropic initiatives. From sponsoring Denver Pride Week to participating in the Colorado AIDS Project’s Colorado AIDS Walk, Good Chemistry knows that it our responsibility as members of this community to do all we can to help improve the lives of our neighbors. Medicine: Good Chemistry CEO Matthew Huron holds a special place in his heart for medical Cannabis and the way it can improve the lives of those who are suffering from ailments. Huron became involved in the medical marijuana industry when his father and his father’s partner were diagnosed with HIV/AIDS. In 1996, when medical marijuana became available in California, Huron saw firsthand the symptomatic relief patients experienced from this alternative medical treatment. In 2000, he began growing medical marijuana for AIDS patients throughout the state, founding and operating a nonprofit medical marijuana co-op that became one of the most respected and well-known facilities in San Francisco. Quality: As the Cannabis industry begins to operate in the sunlight, customers are becoming more discerning when selecting product. At Good Chemistry, we welcome this product analysis. We pride ourselves on producing the finest Cannabis in the world in the most responsible way. Our cultivators pour their hearts and souls into caring for our Cannabis plants, and the product brought into our stores embodies that commitment. We also know that it is not enough to simply make quality Cannabis, but it is also important to educate consumers on how to identify the quality of Cannabis in world full of uncertainties. We have created the S.T.A.T.S. program for that very purpose. By learning what qualities to look for through the five senses (sight, touch, aroma, taste, sensation), consumers can identify quality Cannabis, and their experiences can be improved and evolve. Environment: The environmental impact of the indoor cultivation of Cannabis is increasing with every new cultivation facility and legalized state. As sponsors of this year’s Cannabis Sustainability Symposium, Good Chemistry has sought to understand and improve our own cultivation methods to reflect the responsibility we have as cultivators to protect the earth that allows us to cultivate Cannabis. We look forward to working with policy leaders, innovators and other Cannabis businesses to reduce our environmental impact and improve the quality of life within our communities.